I will be teaching a Winterim class–Grant Writing for Nonprofit Cultural Organizations and Historical Museums— at Rutgers University-Camden campus that I think will interest you and your colleagues. The class is open to all; registration is now open. Registration information can be found at http://winterim.camden.rutgers.edu/howtoreg.html#NonRutgers Cost for the 3 credit semester hours is $2,024 for New Jersey residents; $3,194 for non-residents. The Winterim is a short, intensive session between Fall And Spring Semesters. The class combines face-to-face classroom lectures & discussions; a field trip to the Newark Public Library; computer lab exercises at the Foundation Center in Philadelphia; and online collaborative exercises on SAKAI, a course management platform. The course immerses students in current issues of fundraising and project/program development for nonprofit cultural institutions and historical museums. The course challenges students to analyze and evaluate history and cultural heritage projects and programs for funding opportunities and provides the opportunity to collaborate with professional development staff in the design, justification, budgeting and scheduling of a fundable project and to write and submit a complete grant to the appropriate regional or national funding agency. colleagues to the north, the New England Archivists, in Spring 2015.
too expensive. We would have had to spend a great, great deal on food. with whether or not there are any fees for using the meeting space. hitting the other in a systematic way. can, once it hits your mailbox. Much thanks and see you in Rochester! Does anyone know of or remember the infamous MARAC “green binder?” That’s where once upon a time MARAC tried to keep the written record of what the heck each officer, caucus representative, committee chair, or any of the other leaders are supposed to do. Yes there is the MARAC website, but it only contains a smattering of this information, mainly in the form of official bylaw speak, and not an actual list of responsibilities and duties, and how they are to accomplish their myriad tasks. The problem has been, however, that over the years things change, but the binder never did. So, over the past few years, an attempt has been made to update all of this information so that it’s timely. As a result, every person in a MARAC leadership position has been responsible for making sure their respective section is clear and accurate. So now that we have an up-to-date “MARAC Operations Manual,” it does no good to continue to live in paper in our Google and Facebook world. Rather, this information should be shared broadly and so now has a new life as a wiki and is open to all. Having an up-to-date operations manual visible to MARAC members can especially serve our Nominations & Elections Committee because one of the concerns they always hear from potential nominees for ANY position in MARAC is “I don’t know what they do.” Granted, the bylaws as listed on the MARAC website codifies most of the positions but in terms of strict bylaws language, and not really about what the job really entails and exactly what it is responsible for. As one of my duties as the recently departed MARAC Chair, I assigned to myself the creation of the wiki and want to truly thank all those chairs of every MARAC committee/caucus and on down the line that worked with me to see that the wiki truly reflects how MARAC is run today. I encourage all MARAC members to take a look at it, if nothing else to see for themselves what it is that we do at so many levels. 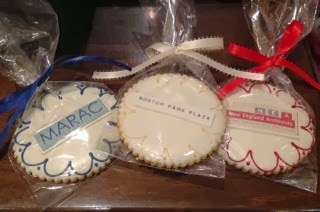 And heck, maybe it will inspire you too to run for MARAC Chair!! Further Information about offices, committees, and governance is available on the MARAC homepage at –http://www.marac.info/. If you have additional questions, more details can also be happily furnished upon request. For the past year the Pan Am Flight 103/Lockerbie Air Disaster Archives at Syracuse University has been accumulating a list of relevant dates relating to the tragedy of Pan Am 103. From December 5, 1988 when the Helsinki Warning was issued to U.S. government outposts in Europe, through February 25, 2013 when a contingent of U.K. and U.S. law enforcement agents visited Tripoli to continue the investigation into the bombing, The Archives has included key events relating to the bombing and subsequent investigation, the families’ continuous search for justice and airline security, and memorial events held in Lockerbie, Syracuse and Washington, D.C. The timeline provides condensed captions summarizing each event. Most events also have a relevant image, document or video attached; these are all part of the Archives collection and provide additional information for those who would like to explore the events in detail. Also included in the timeline are lists of related collections contained in the Archives so that researchers may better understand how our materials may be used for scholarship. The timeline will continue to be updated as new events in the Pan Am 103 saga unfold. The Archives hopes that this timeline will prove to be a valuable resource for those interested in the history of Pan Am 103.